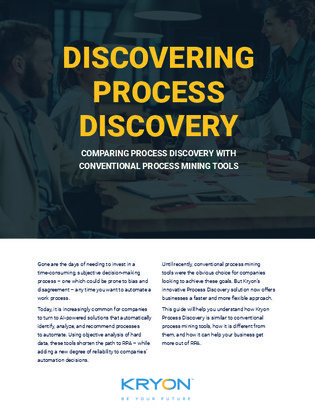 Traditionally, process mining tools have been the go-to choice for companies looking for an objective way to analyze business processes. But while these tools are great for identifying inefficiencies, they often fail to accurately pinpoint automation opportunities – leaving employees to pick up the slack. Find out how process discovery, powered by AI, offers a more thorough and integrated option for identifying automatable areas. Collecting real-time data on user activity and work processes, process discovery is designed to generate fully functional automation workflows to boost time and cost savings from start to finish.